As the remains of Blizzard 2011 slowly wash away, and ugly *dibs materials return to more appropriate indoor storage areas, we Chicagoans cannot stop ourselves from thinking spring. 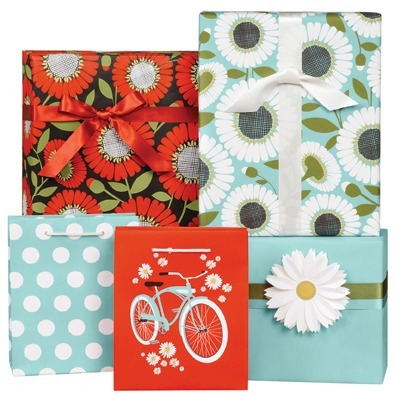 Those of us working at Paper Source, both at the Chicago corporate office and in our 43 store locations, also find promise of a changing season in daisies! Why are we so fond of daisies? A daisy is associated with simplicity, innocence, loyal love, beauty, purity and patience. It is one of the few flowers to have absolutely no negative symbolism. They exude a positive energy that is ideal for those who suffer from winter fatigue, and a genuine happiness that transcends geographic location. We expanded this simple line drawing into a lush field of daisies—First, over a fresh pool background and, now, in a rich black and persimmon pairing. 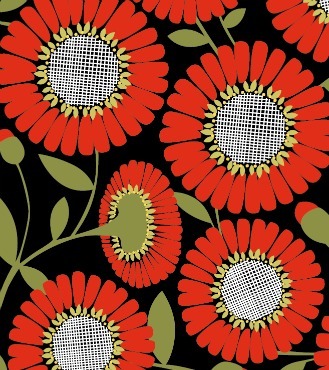 This floral icon has inspired more than a dozen daisy products. Take a look and tell us which ones ignite your springtime spirit- Go now! *Chicagoans, who dig their car out from neighborhood streets, sometimes elect to place random household objects in the cleared spot, claiming “dibs” on a portion of the public street. Yes, this is a controversial and subjective practice. Click for evidence. Love your new patterns! 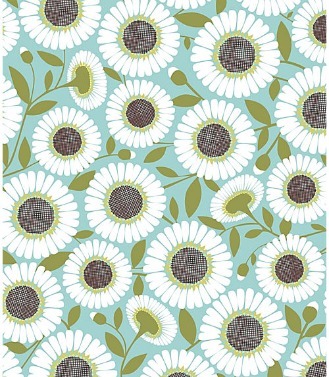 I know a few gals crazy for daisies! thank you! i have been looking for a design to update my record frames! these are perfect!